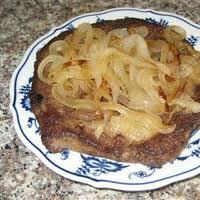 Liver & Onions…..this was never one of my personal favorites, but my husband likes it and I make it for him. I don’t know if liver and onions is considered a “southern”, comfort food or not. All I can be sure of is this; it was cooked a lot when I was a child. My Mother, Beverly Jenkins Douglas, actually paid me $5 to try it when I was about 14 years old! Tried it. Didn’t love it or hate it either. I have found that after making this for the past 31 years of marriage is this, to fully enjoy liver, you must eat it hot! Enjoy!! I love the combination of veggies and mashed potatoes! I can actually get my kids to eat vegetables this way! 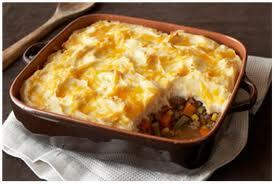 One of the things I like the most about Shepherds Pie is that it is quick and nutritious. A working Mom can make this easily after a long day at work with out too much effort. I like to top mine with lots of shredded cheese. My version also calls for cream cheese, which is slightly different from other recipes I have seen. I hope you will enjoy this dish. Preheat oven to 350 degrees. Brown ground beef in Worcestershire sauce, then drain. Add more Worcestershire sauce to taste. Place ground beef in a large mixing bowl. Add mixed vegetables, soup (omit milk). Make mashed potatoes per package, except substitute cream cheese for milk. Put meat mixture on bottom of a 9 inch baking dish then add mashed potatoes on top of meat mixture. Top with shredded cheese. Bake for approximately 25 minutes. Cook noodles; drain and set aside. Cut meat into serving pieces. Mix 2 tablespoons flour, salt and 1/4 teaspoon pepper; coat meat with mixture. Melt butter in large skillet; brown meat slowly. Add water, cover and simmer 1 to 1 1/2 hours or until tender. Remove meat from skillet. 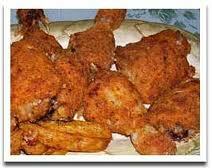 Blend 2 tablespoons flour, onion, garlic salt, Worcestershire sauce and 1/4 teaspoon pepper into drippings. Stir in 2/3 cup sour cream. Mix noodles with cottage cheese and sour cream sauce. 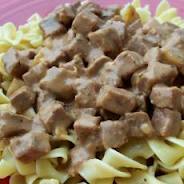 Turn into a 2 1/2 Quart casserole dish; top with meat. Cover; bake in a preheated oven at 350 degrees for 25 minutes. Remove cover; spoon on remaining 1/3 cup sour cream. Return to oven for 5 minutes. Serves 8.